Looking at a child who is malnourished is heartwrenching. With all the resources and wealth in our world, there is no justifiable reason why any child should be hungry. 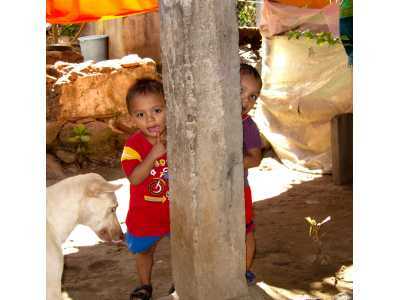 From the instant we arrived in Honduras, we began battling malnutrition. Chronic malnutrition in the early years of a child’s life can complicate basic medical issues and irreversibly affect a child’s physical, mental, and behavioral development. Apart from the obvious horror and injustice of a starving child, malnutrition is a primary culprit in the creation and sustenance of endemic, cyclical, and generational poverty. Our earliest response to malnutrition in the 1990s and 2000s was to conduct extensive field testing for anemia, a basic malnutrition marker, which confirmed high rates of nutritional deficiency, especially among young children. With that data we began a strategic response to overcoming malnutrition. The challenge of malnutrition in the communities where we serve is so severe, however, that a systemic, scientific approach is warranted. 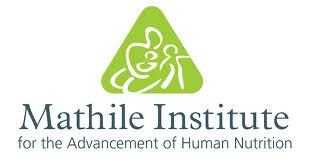 In 2008, Shoulder to Shoulder partnered with the Mathile Institute for the Advancement of Human Nutrition to combat malnutrition. MANI I (Mejorando La Alimentación de los Niños de Intibucá) initiated integrated educational and feeding intervention for children aged 6 to 24 months. Children from the communities of Santa Lucia, Magdalena and San Antonio were provided a nutrtional supplement and various health and nutritional measurements were conducted and analyzed. Although the project design was successful, compliance was low as many children expressed a strong dislike for the peanut flavor of the supplement. In 2010, we replaced the peanut butter-based supplement with a soy-based supplement, Chispuditos, to increase compliance. MANI 2 demonstrated improved results in health and in compliance. 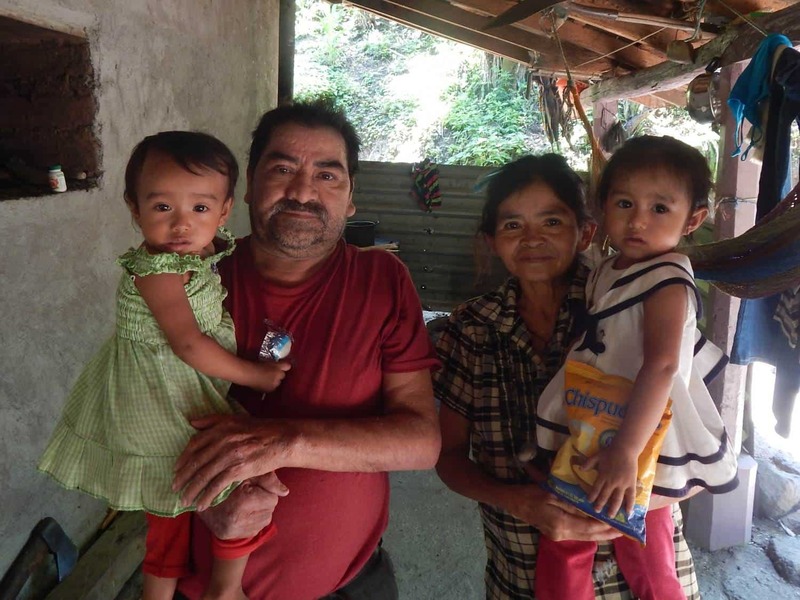 In 2012, we began the MANI 3 Nutrition Project, which ran until July 2013. In coordination with Mathile, Chispuditos, containing 21 vitamins and minerals, was distributed to over 2,400 children from over 70 communities. Our target population was underweight and anemic children between 6 months and five years of age. We began the implementation of MANI IV in July 2016; MANI V in July 2017; and MANI V Extension in August 2018. 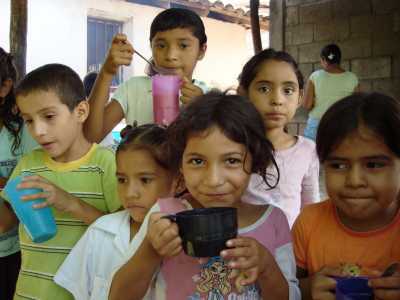 Over 2800 children between six months and five years of age in over 100 communities in the municipalities of Colomoncagua, Camasca, and San Marcos de la Sierra are receiving the nutritional enriched product Chispuditos. Their health statistics are monitored to discern the effectiveness of the product. With that information in hand, Mathile and Shoulder to Shoulder will consider the next steps at reducing child morbidity rates by improving nutrition. Our efforts have seen dramatic improvement in critical areas, including a child’s height, weight, and hemoglobin levels. You can find more information regarding our research and nutrition projects on our research page or by contacting us. Every day, our doctors, nurses, and health promoters travel to individuals’ homes to provide health and nutrition education along with medical care. Poor access to well-balanced diets and lack of nutrition education lead to high salt and sugar intake. In turn, our communities have levels of hypertension and we are seeing increasing cases of diabetes. Your contribution assists us in reaching our communities by truck, motorcycle, and by foot to provide necessary health and nutrition education and bring malnourished patients to our clinics for treatment. We ask your help in continuing our fight against malnutrition.